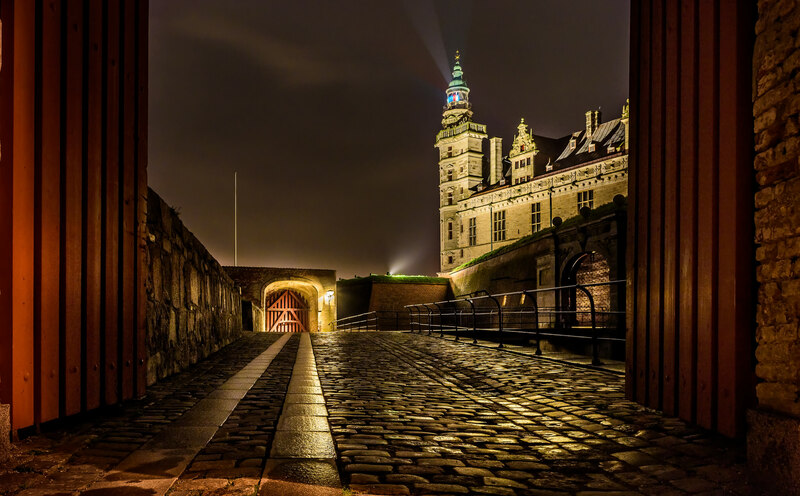 Directions: Kronborg castle is easily found just outside the city of Elsinore (Helsingør) in Denmark, Europe. Take the train to Elsinore rail station or use the big car park next to the castle - numerous signs will show the way to the entrance. 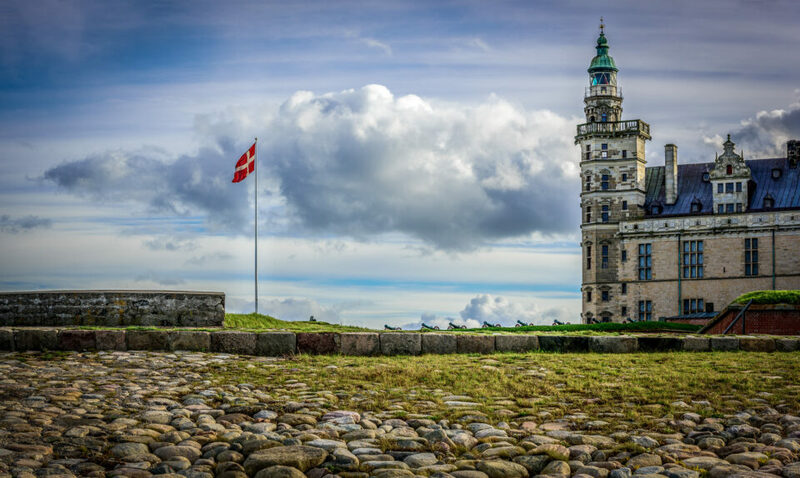 Kronborg castle is a UNESCO world heritage site and one of the best Renaissance castles in Northern Europe. It has existed since 1420 and has a dramatic and interesting history. Some know it from the famous play “Hamlet” by William Shakespeare where it was used as setting. 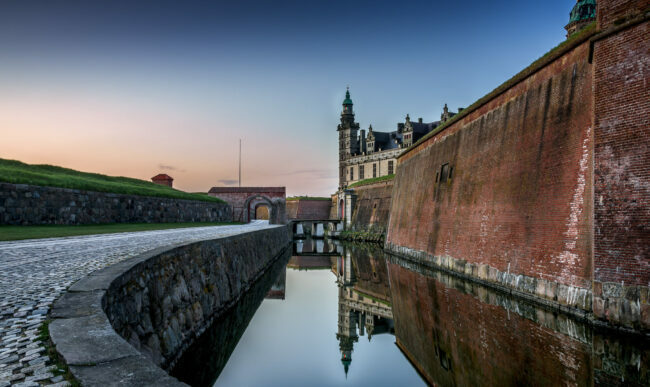 Both the interior and exterior is spectacular with many great photo sites including cannon-surrounded fortresses, views of over the water between Denmark and Sweden, beaches, banqueting hall and damp casemates. I recommend going in the morning or evening for the best light and to avoid tourist crowds. Especially the mornings can be spectacular with the sun rising behind the castle. Night shooting is also possible since the castle is illuminated – and one of the towers function as a lighthouse. I live close by and often bring the camera and dog for a walk to the site – I never get tired of this place :-) I really recommend it – and if you eventually get tired of old buildings, the brand new Maritime Museum is just next door. It is designed by the internationally renowned architecture company BIG (Bjarke Ingels Group) and has been listed as one of the 8 greatest new museums in the world by BBC.